Showing 1 - 20 of 59 results. 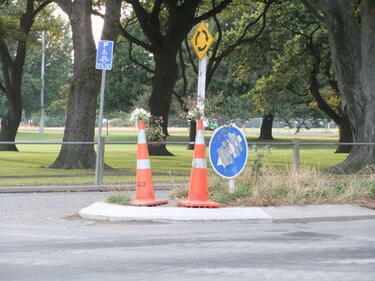 A photograph of flowers in two road cones on a traffic island. 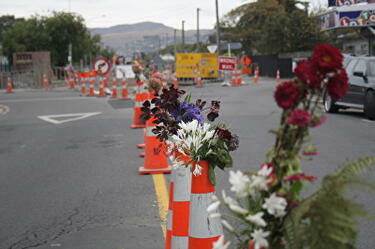 On the anniversary of the 22 February 2011 earthquake, people were encouraged to place flowers in road cones as a way of honouring those who lost their lives during the earthquake. 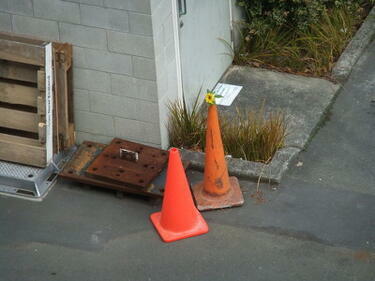 A photograph of a flower in a road cone at the University of Canterbury. 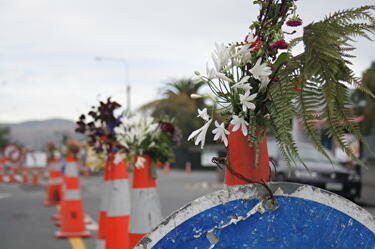 On the anniversary of the 22 February 2011 earthquake, people were encouraged to place flowers in road cones as a way of honouring those who lost their lives during the earthquake. A photograph of a flower in a road cone. 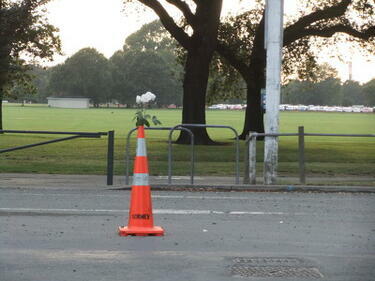 On the anniversary of the 22 February 2011 earthquake, people were encouraged to place flowers in road cones as a way of honouring those who lost their lives during the earthquake. 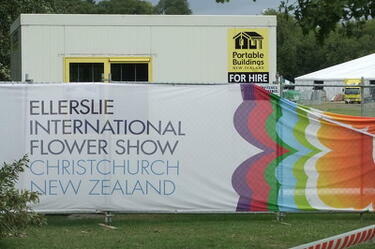 A photograph of a sign for the Ellerslie International Flower Show in Hagley Park. The show was cancelled following the 22 February 2011 earthquake. 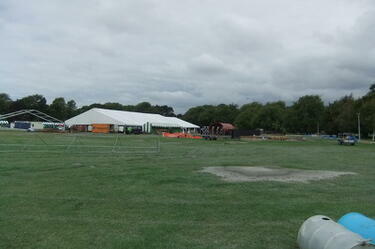 A photograph of tents and shipping containers in Hagley Park which were to be part of the Ellerslie International Flower Show. The show was cancelled in the aftermath of the 22 February 2011 earthquake. In the foreground of this photograph, liquefaction can still be seen on the grass. A photograph of tents and shipping containers in Hagley Park which were to be part of the Ellerslie International Flower Show. The show was cancelled in the aftermath of the 22 February 2011 earthquake. A photograph of street art between New Brighton Mall and Hawke Street. The artwork is a mural of tag writing, a flower, and melting ice cream. A photograph of fence art in Cathedral Square. The artwork shows different types of flowers. 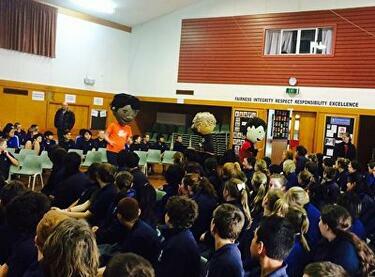 A photograph of 'All Righties' at a Shirley Intermediate School assembly. The photograph was taken at the Winter Survival Kit launch. All Right? posted the photograph on their Facebook Timeline on 25 July 2014 at 4:01pm with the caption, "Gatecrash it with giant heads...". A photograph of bouquets of roses from Moffatt's Flower Company Ltd. Bouquets of Moffatt's flowers were given to teachers at the Winter Survival Kit launch at Shirley Intermediate School. All Right? posted to the photograph to their Facebook Timeline on 25 July 2014 at 4:01pm with the caption, "Add dozens of beautiful bouquets from Moffatt's Flower Company Flowers...". 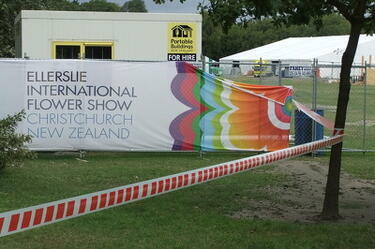 A video about the 2012 Ellerslie Flower Show in Hagley Park. 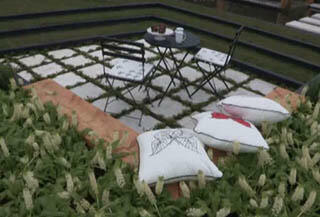 The video includes an interview with Paul Roper-Gee, Exhibition Garden Gold Medal winner. 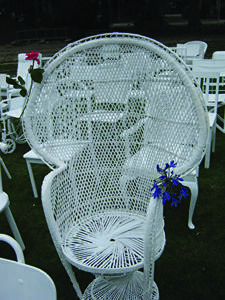 It also includes an interview with Rachael Matthews, Emerging Designs Gold winner and Student Designer of the Year. 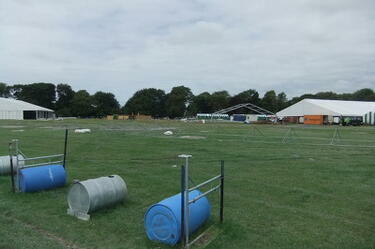 A video about the preparation for the 2012 Ellerslie Flower Show in Hagley Park. 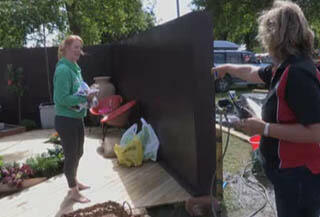 The video includes interviews with Xiaohua Li, an Architecture and Landscape Design student at Lincoln University, Dave Mee, the Ellerslie Flower Show Managing Director, and Leona Murahidy. 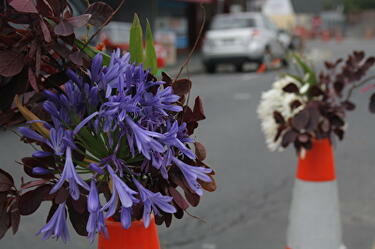 A photograph of flowers placed in road cones to commemorate the anniversary of the 22 February 2011 earthquake. 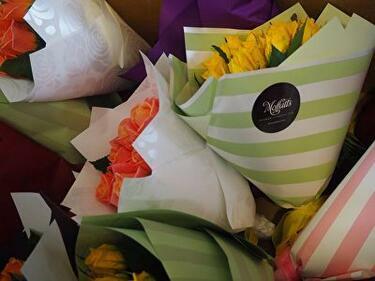 A photograph of boxes of flowers ready to be given out during All Right? 's 'Flower Bombing' project on 4 September 2013. 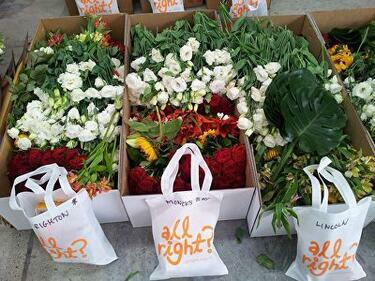 Moffatts Flower Company donated thousands of flowers for the All Right? 'Flower Bombing' project. 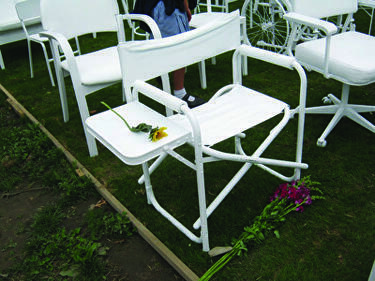 With the assistance of BNZ 'Closed for Good' staff, flowers were given out at the EQC call centre, Lyttelton Main, Lyttelton West and Phillipstown Schools, Eastgate Mall, and SCIRT rebuild sites. All Right? posted the photograph on their Facebook page on 21 February 2014 at 3:05pm. 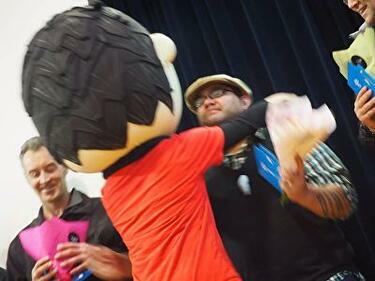 A photograph of an 'All Rightie' hugging a teacher at the Winter Survival Kit launch at Shirley Intermediate School. The teacher and the others in the photograph are just received their own Winter Survival Kit and a bouquet of Moffatt's flowers. All Right? posted the photograph on their Facebook Timeline on 25 July 2014 at 4:02pm with the caption, "Give them flowers to say thanks for the incredible job they've been doing".